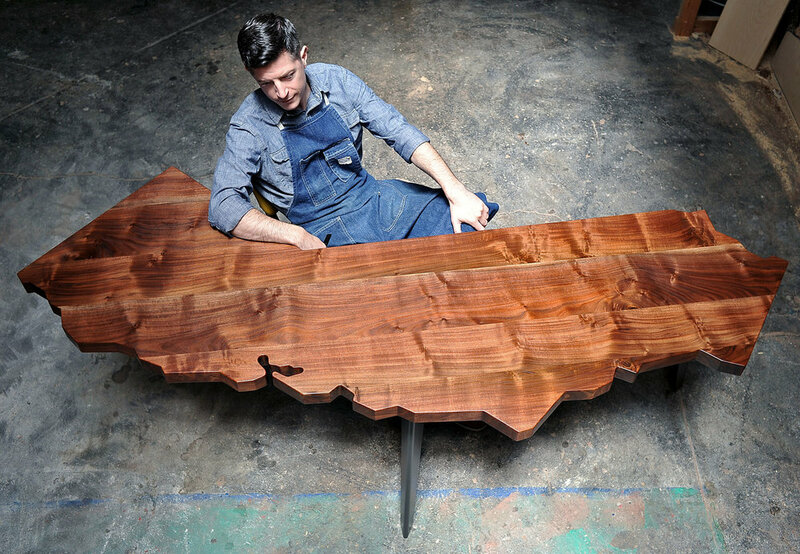 Since 2007, J. Rusten Furniture Studio has been creating the original and now familiar California Series of tables and desks. 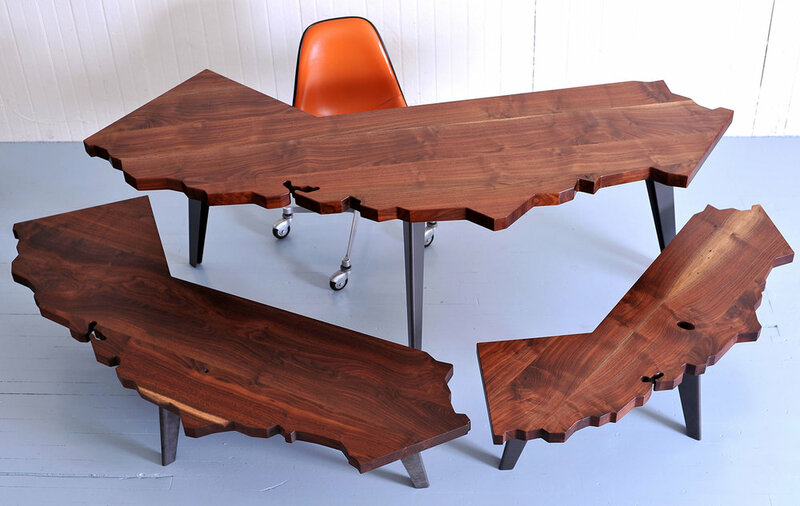 Carefully cut into the iconic shape of California, each piece is crafted from locally salvaged Claro walnut and features custom formed steel legs. 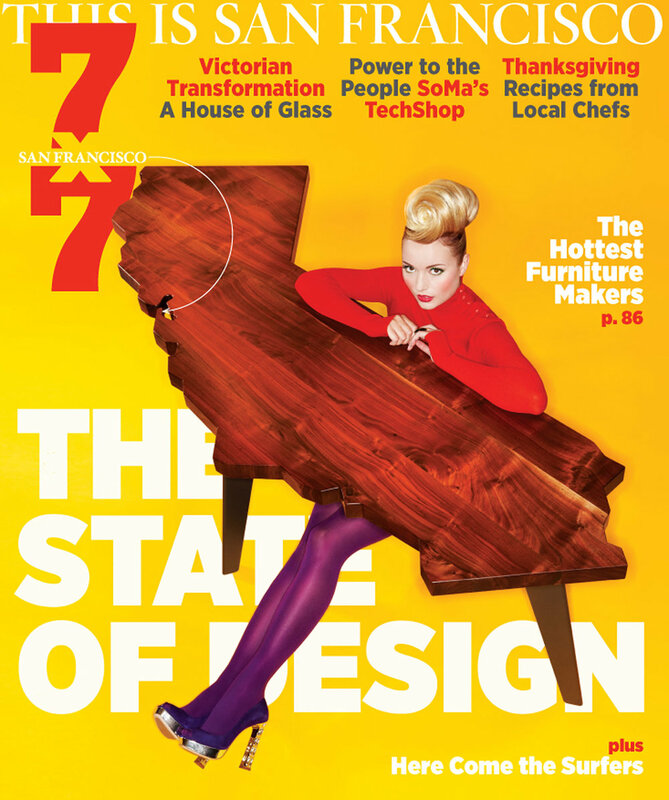 The California shape offers ideal function as desk or coffee table, and brings to mind all of the positive associations with “the golden state”: artistic contribution, technical innovation, entertainment production, political progress, and diversity of population and geographies. Claro walnut, a perfect analog to the left coast’s culture and people, possesses a spectrum of colors and textures, unique among wood species. And, it’s rare. Because Claro walnut is not harvested commercially at any significant scale, it is obtained mostly through small, independent sawyers who are able to spare displaced or dead trees from the landfill or chipper. Since the species is no longer planted in the orchards, its availability is finite and shrinking year by year. I can think of no greater tribute to this material than to create functional pieces of furniture in the shape of its geographic origin. 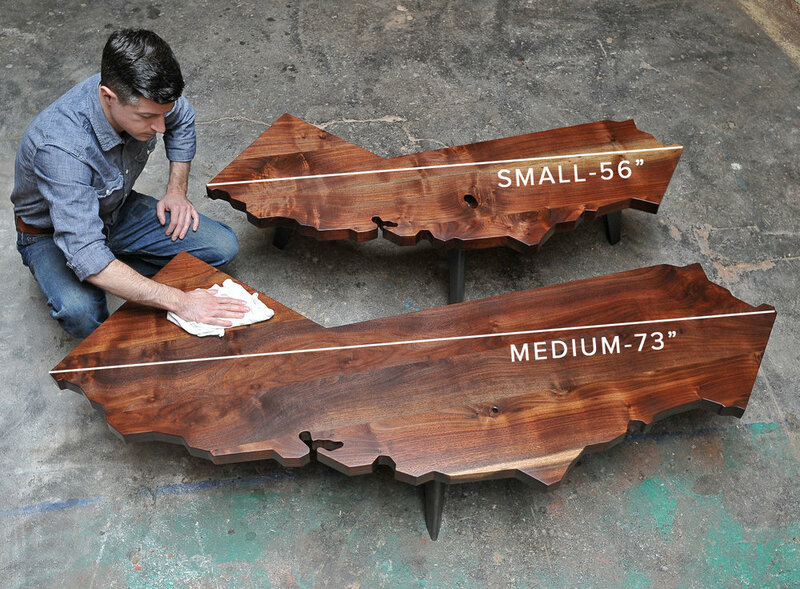 And, we spend an extraordinary amount of time on every part of the construction process: sourcing the lumber, milling, layout, joining, hand-sanding the crisp facets of the coastline, oiling and buffing out the finish -all of those extra hours to ensure we’re creating a (deceptively simple) design object with unparalleled craftsmanship.